The introduction of Google Feed a couple of years ago was a much-needed revolutionary step which made it easier for a user to get updated with the current affairs. Last year however, the feed was modified and renamed to Google Discover. A number of new features were added and the service was also made available on mobile web. Addition of AMP Stories was the highlight of this change. However, Google Discover has now started showing posts on Google. In case you aren’t aware, Google posts let different brands publish messages and different forms of media in Google Search. It can then be found in the Knowledge Panel, allowing brands to make direct announcements or post updates. This is more or less similar to a Facebook post or tweet. As discussed above, these posts have now started appearing in Google Discover according to a user’s interests. For example, a Sports fan will find significant developments in a popular sport on Discover. Now let’s come to how these surfaced posts look like. The card looks just like every other story with a category tab over it. The attached image occupies the full width of the card and the caption/message appears on it in with a text size as large as a headline’s. 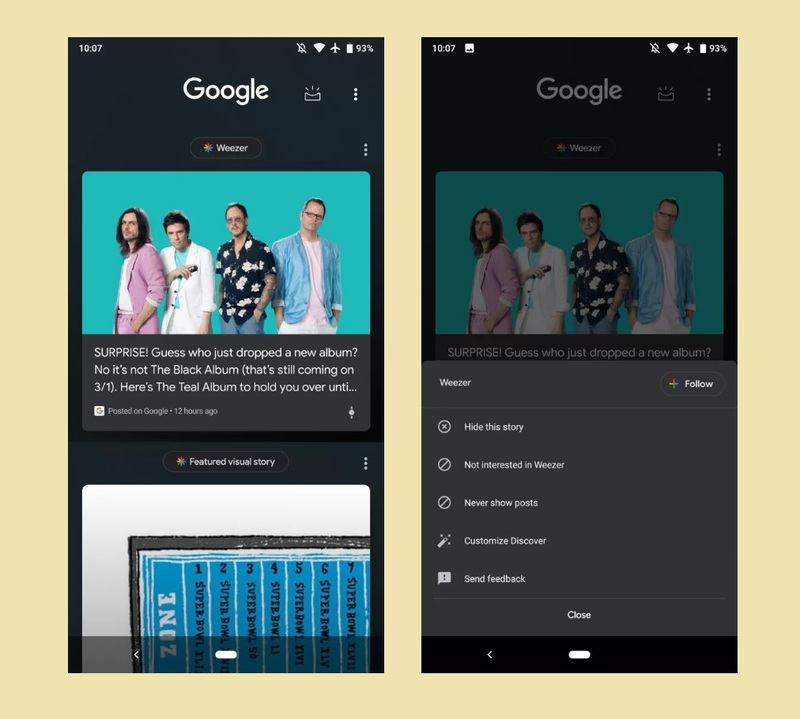 On the bottom-left corner, we can see how the story was published on Google and along with it, the time stamp and few content controls are also available. Users can also express in their disinterest by making use of the “Hide this story” feature (just like Google news). There is also a “Never show posts” option for them to completely disconnect with that particular site or to an extent, the content type. When you click or tap on the card, a Chrome tab opens with the publicly accessible posts on Google (via web URLs). In addition to the AMP stories and other media and content related to a user’s interest, Google has also been trying to get the ads rolling on Discover. However, it is still in testing phase, as we speak.